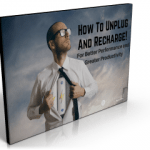 Knowing how to unplug and recharge is a critical success factor that leads to better performance, greater productivity, and ultimately... true success. 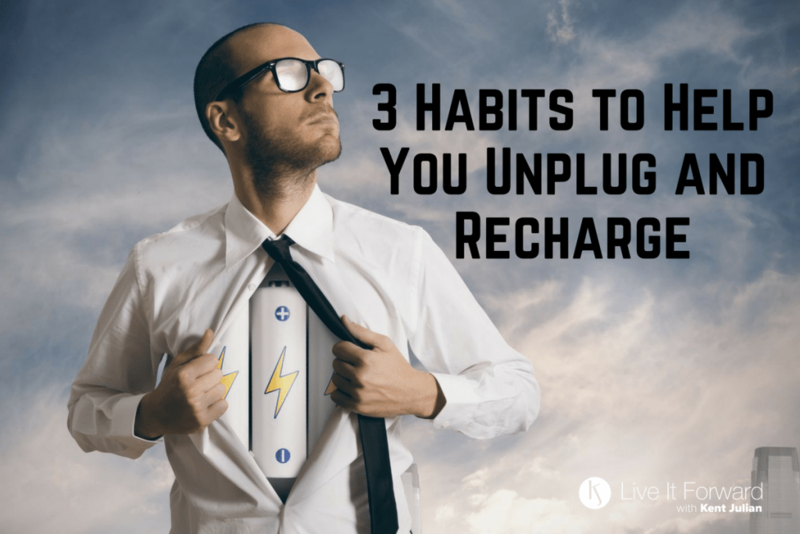 The reason knowing how to unplug is so important is because it gives you the time and space to recharge mentally, physically, emotionally, and spiritually. Once recharged, you can jump back into your life and work with focus, energy, and enthusiasm. When determining how to unplug and get recharged, it's best to focus on your daily habits first. Here are three daily habits you can start building into your routine immediately. Habit #1: Lead Your Life from Quiet. Most people allow life to push them around because they never create time and space in their schedule to lead their life from quiet. In other words, they let their circumstances control their life. By slowing down for a few moments first thing in the morning and proactively focusing on your life, you take control of your life instead of allowing life to take control of you and push you around. At least five or six times a week, I unplug and recharge by exercising. Some days are more intense than others, but even the simplest exercise does more to recharge my batteries physically, mentally, and emotionally than anything else I do. Try it and you'll discover that even the simplest exercise will energize you, give you an immediate sense of accomplishment, and will help you reduce stress. One of the best decisions Kathy and I ever made as parents was to regularly eat dinner together as a family. We gather around the table with our kids, unplug from our cell phones, and spend time reconnecting with one another. The 30-to-45 minutes spent together eating, talking, laughing, and cleaning up the kitchen centers us as a family and recharges our relationships with one another. Unplugging from the daily grind leads to better performance and productivity. However, if you want to experience the highest levels of success and significance, occasionally you need to unplug for an extended period of time. This approach allows for a slow, trickle recharge rather than just short, quick recharges. Trickle charges last longer and do a more thorough job of restoring your energy. Click the link below for a two-page PDF that shares four tips on how to unplug and get recharged over an extended period of time. YES! Send me "4 Tips on How to Unplug for an Extended Period of Time"